You aren't required to use a QKR image but if you do, your entry will go into a separate draw just for QKR users, increasing your chances of winning by a huge amount! I used the image Digi 11508 "Up in Curlers." but my deep burgundy turned more brown in the photo. I used my ProMarkers to color the image, trying to match the background gray CS as closely as possible. I used dies from QuicKuts to cut both the image (scalloped oval) and the pale gray CS (scalloped rectangle), then wove ribbon through each one. I layered them together with burgundy CS in between and put them on a burgundy card base. I added the pink bow for a bit of feminine touch and called it finished. What a fun card, and a super image, I think I need that, it would be perfect for a card for one of my friends. Connie, this is so cute. I love the snake with the rollers and the great layout. 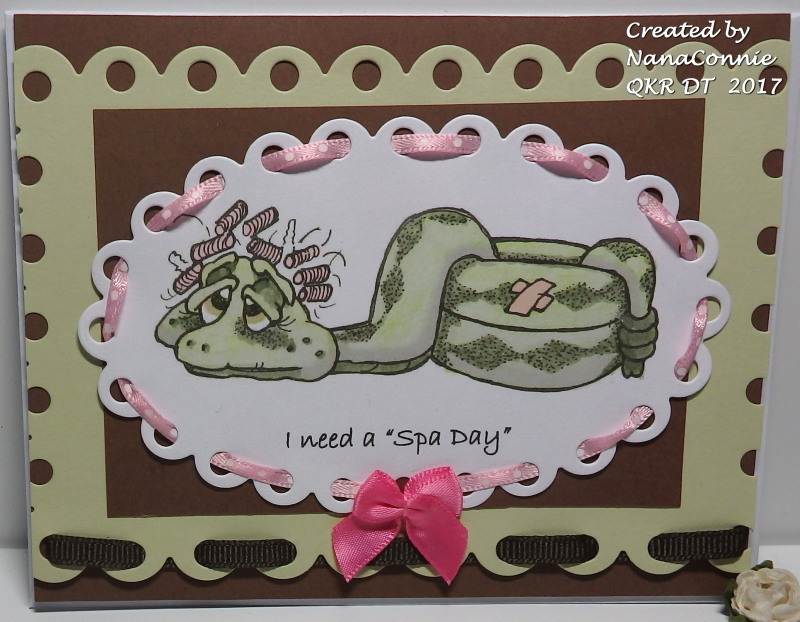 I too need a spa day too, it has been hectic here. A fabulous card and love the image. Enjoy your weekend. This is how I've felt for the last couple of years! LOL! CUTE, CUTE, CUTE card and I love that image. Great ribbon weaving too. So pretty and fun. Ha!!! Looks like how I feel today! This is wonderful, absolutely love it! 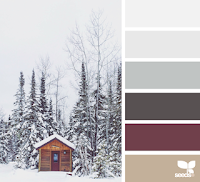 Love your interpretation of the inspiration colors. The lacing through the dies is such a creative touch. Thank you for joining us at Crafty Sentiments for our Use Dies challenge. LOVE the colour combination, I just tried doing something with exactly the same colours. Your card is lovely, another chuckle from me, LOVE it. Soo fun card! Thanks for sharing with us in HOC! Enjoy... Paula. Oh rats, now I have to get this image, just too funny.I even know people I can give this as a card to. Wonderfully done Connie! Thanks for playing with us at TTCRD.